Is this the end of HealthVault? 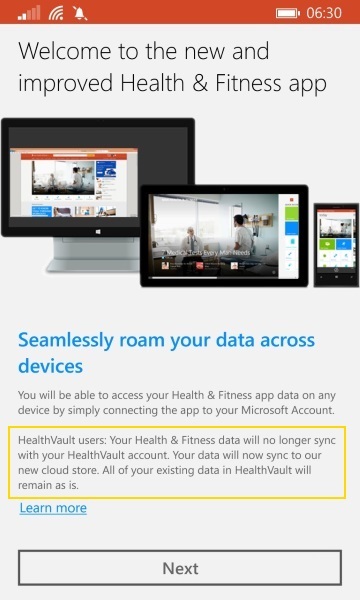 As part of the rebranding to MSN, the fantastic Health & Fitness app gained a number of smaller features, and lost one big one: synchronisation to Microsoft’s HealthVault medical data backend. HealthVault first started back in 2007 in the United States as a medical storage system designed for families to share data with doctors and medical institutions. It expanded in 2010 to include the United Kingdom with grand plans to integrate the service into the UK’s National Health Service. It seems that these grand plans were never realised, as I’ve never been able to get access to my NHS data this way. I have been using HealthVault for years though. It’s my central repository for all my health information including steps from my Fitbit, blood pressure, emergency contact details and, until now, calorie intake and exercise statistics from Health & Fitness. In my opinion, today’s removal of the HealthVault synchronisation is probably for technical reasons, but it may signal the beginning of the end for the service. I can’t imagine Satya’s Microsoft keeping two competing health platforms up and running for long. Especially with new competitors outside of the company from the likes of Apple’s HealthKit and Google Fit. 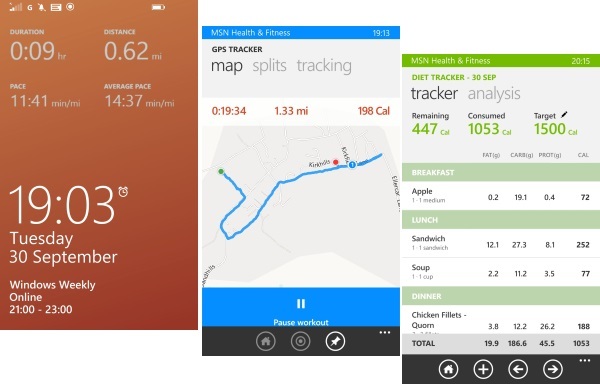 I was involved in a small private beta of the Health & Fitness app for Windows Phone in an effort to try and reduce the serious amounts of crashing that would occur on the app when tracking exercise with the GPS. It’s also no shock to anyone that has used it that entering information and waiting for it to synchronise was a slow process. Synchronisation is super-fast on the new Health & Fitness app and the newly designed Azure-powered backend is probably a big factor in that speed, especially when compared to the aging HealthVault platform API. The diet and cardio information entered into the app is also available on the new MSN portal that launched today. This is also super-fast and responsive. It’s no wonder they’ve made this decision for end users. Finally, there is a possibility that MSN’s new cloud backend will eventually end up synchronising directly with HealthVault, rather than going through the device-based clients as it used to. But it seems doubtful based on my understanding. Since writing this article, Microsoft Health has been announced. 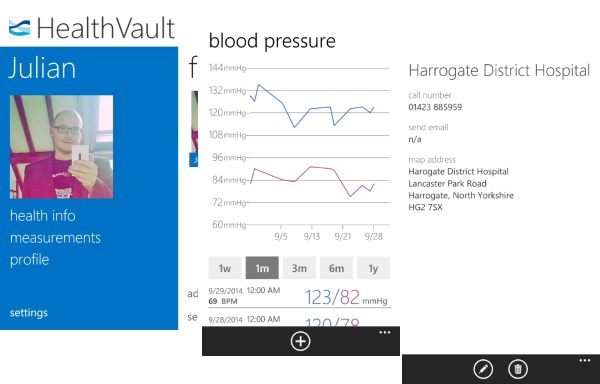 Microsoft has confirmed that backend data from this new health insights engine will be able to export to HealthVault. I can only assume that MSN’s Health & Fitness data will be updated to feed into Microsoft Health, and eventually into HealthVault. At the moment, this isn’t happening, but I’ll update the post if/when it is up and running.